A popular annual event for family and friends, comprising choral and orchestral music, with Christmas carols for all. 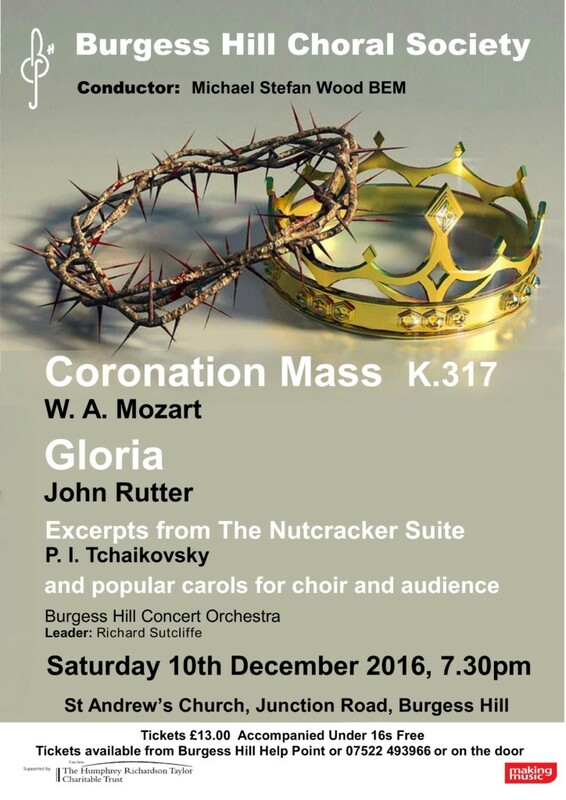 Burgess Hill Choral Society will be accompanied by the Burgess Hill Concert Orchestra. The concert features four soloists from the Royal College of Music. Mike Wood, our Musical Director and Conductor, is the charismatic MC for this event. Refreshments will be available during the interval. The concert venue is a short taxi trip or 20 minute walk from Burgess Hill main line railway station (or 10 minute walk from Wivelsfield Station).